Looking for a little something outside the box for a snack or even a party snack? 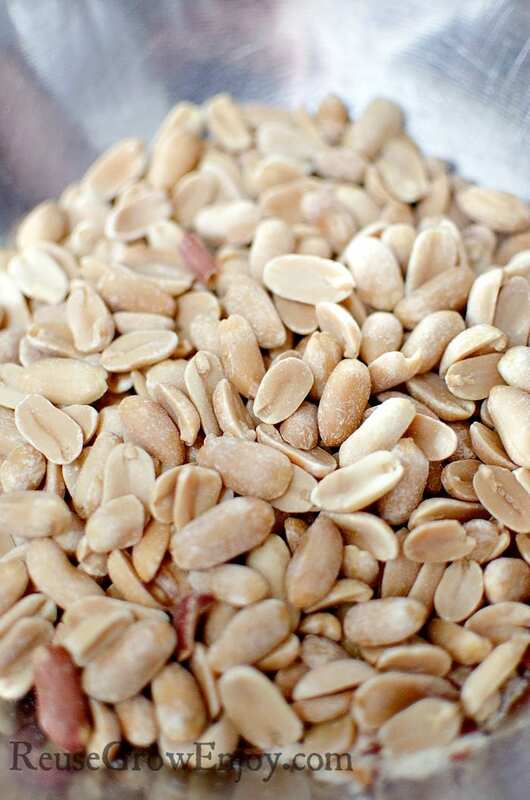 This Sweet And Spicy Buffalo Peanuts Recipe will do the trick! It takes that mixture of spicy and a touch or sweet to a whole new notch! This is sure to be a crowd-pleaser. You can make this in a small batch like I have the recipe for if you are just having a few family and friends over. Or even if you just want to have them on hand for yourself. 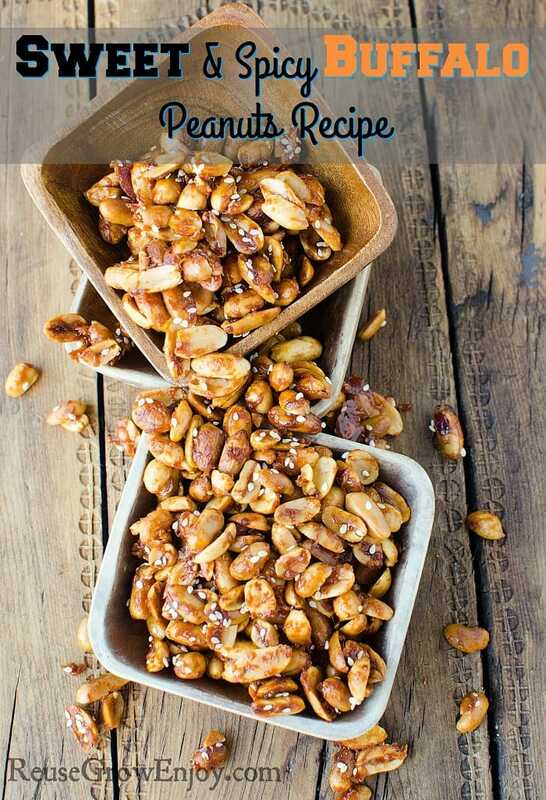 However this Sweet And Spicy Buffalo Peanuts Recipe is super easy to double even triple! You just double or triple the ingredients. If you do more then just triple, the recipe will get a little off with to much hot sauce. So if you need more then a triple batch, I would just make another round and not all at one time. If you are wondering if this will be too hot and spicy, or maybe not hot enough, you can control that a little. Simply use a mild or hotter hot sauce. While you can use the brands and supplies you have on hand, I like to use Frank’s hot sauce and organic brown sugar. If you liked this recipe, here are a few others you may want to check out. Line a baking sheet with parchment, set aside. 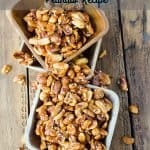 Pour the peanuts in a bowl and set aside. Heat and let boil until it begins to thicken and foam slightly. 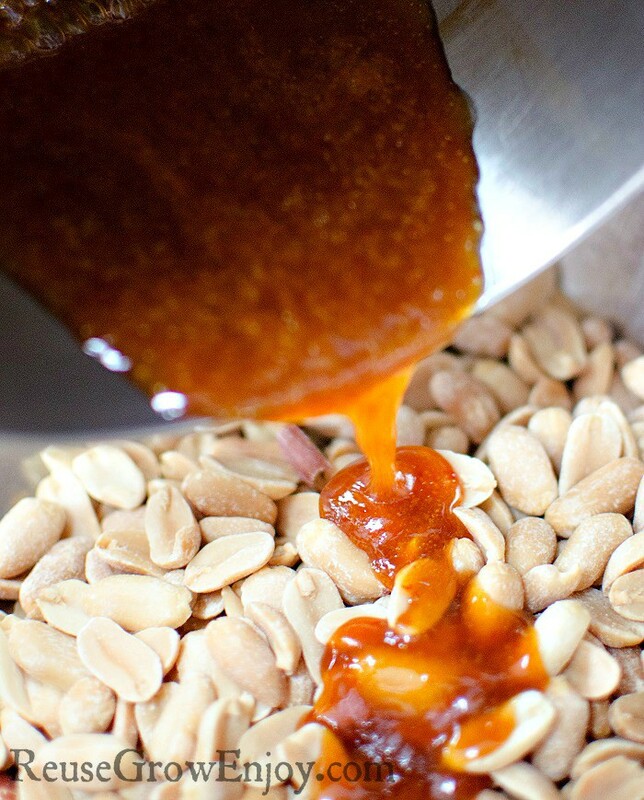 Pour the mixture over the peanuts and stir well until evenly coated. 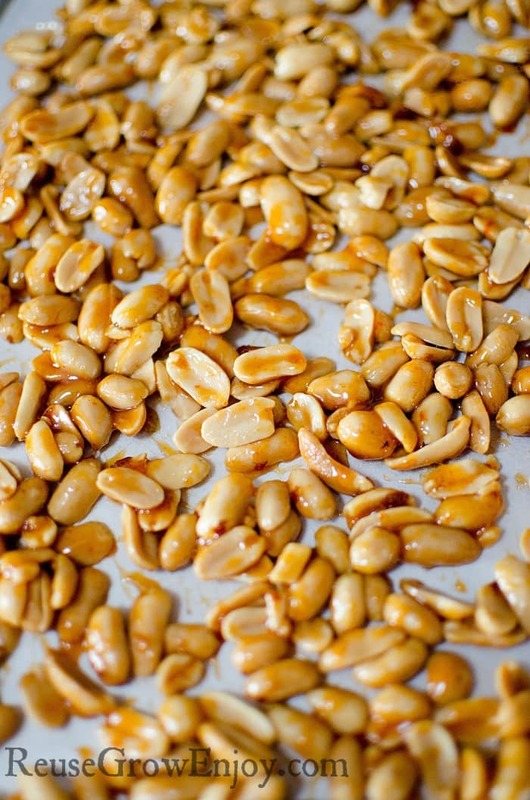 Pour the peanuts onto the baking sheet and flatten the peanuts so they are all on one layer. Bake in the oven for 12 – 15 minutes. Keep an eye on them so they don’t burn. Let them cool completely before eating. This recipe is for a small batch, but the recipe can easily be doubled by doubling the amounts.